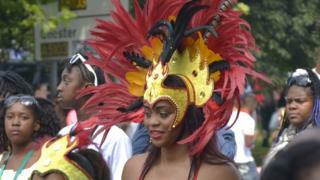 The organisers of Manchester's Caribbean Carnival have been stripped of the right to run this year's event. A former accountant told the BBC last month that the carnival's book-keeping could be described as a "cowboy job". Manchester City Council, which is the event's biggest funder, said an interim group would be set up in order to allow this summer's carnival to go ahead. The August festival, which began in 1972, attracts about 30,000 visitors a year to the Moss Side area of the city. The BBC has seen a letter from the council, which confirms the longstanding organisers have been dropped. However, no rival bids were considered strong enough to gain the council's support. The authority's culture and leisure lead, Luthfur Rahman, said: "We need to ensure the local community are fully supported to build the significant expertise which is required to plan and stage such a large-scale and complex event." The interim group will consult locals to ensure they have "every opportunity" to be involved this year and "have their say" on the event's long-term future. While the council does not grant the right to host the carnival, it provides the money needed to support it. Members of the Caribbean community have raised concerns about the festival's operation, run by a committee of volunteers, for many years. There was a sharp reduction in public funding and private sponsorship fell from £44,500 in 2010 to £6,000 in 2017. Carnival organisers disputed those claims and said a loss in funding was due to circumstances outside of its control, like a "sluggish economy". In 2018, a city council report raised concerns about how the carnival was run. While it found "no evidence of theft or misappropriation of monies based on the limited information available to us", several changes were demanded. In 2013, the Arts Council pulled funding, citing "serious concerns regarding artistic quality", adding that "photo evidence demonstrates persistent recycling of costumes". In the same year, concerns over the accounts were raised internally by accountant Aatif Rehman, who told the BBC he refused to sign off the books which he said were "a cowboy job". The council is going to split up the running of the carnival - for example one group will be responsible for the parade, while another will administer the running of the stalls and so on. The interim group will then put together a five-year plan on how the carnival should be run. It's not yet clear who exactly will be part of the group and whether any of the people involved in running the carnival in recent years - or any of those who have raised concerns - will be involved. But it shows the council has decided the way the event has been run in the past cannot continue and there needs to be a drastic change.